My sweetie pie’s first manicure! Kaley loves playing with all my nail polish bottles and I have been doing her toes for a long time. 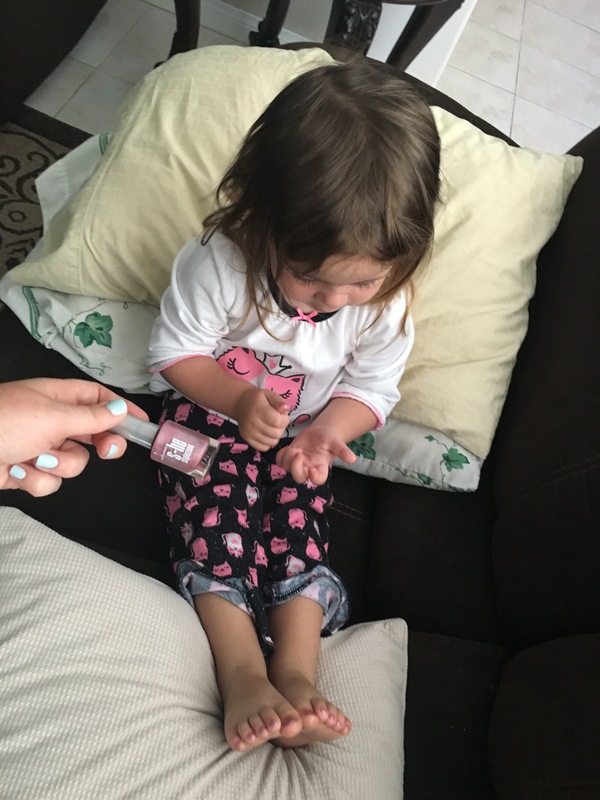 I usually do them while she is napping and she just wakes up with painted toenails! I think she got so into it that she decided she could even sit still and be patient while waiting for it to dry. So I did her toes and her nails today for the first time. This entry was posted in general polish yumminess, YAY! and tagged 427, holo, Kaley, nail polish, pink, she stylezone, toddler manicure on June 4, 2016 by hollyshimmerspark.